Named for the former PEN president and fierce defender of the freedom of expression, the Arthur Miller Freedom to Write Lecture is a defining event of the PEN World Voices Festival. 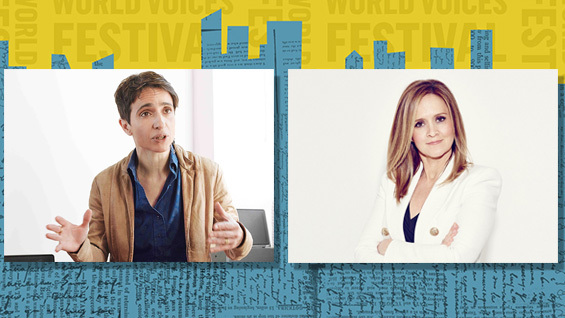 This year’s lecture will be two-part: Russian and American journalist and author Masha Gessen will give a short lecture followed by a longer conversation with Samantha Bee, host of Full Frontal with Samantha Bee. This is a ticketed event ($35) and is part of the 2017 PEN World Voices Festival.